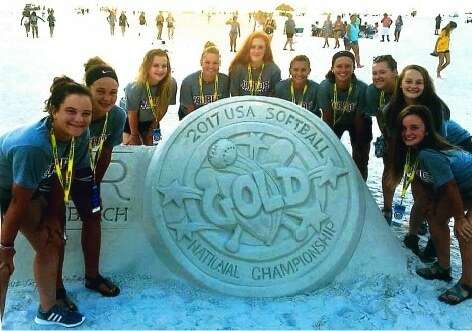 Brianna Quinn, the granddaughter of Joni Fromme (1st shift Trim), qualified to compete in the 2017 Softball National Tourney held in Clearwater, Florida. Brianna played third base for the Lady Jasper-CARDS 16u softball team. Brianna is a Freshman at Heritage Hills high school. She is pictured 5th from left. We are proud of Brianna and her accomplishments! Way to go! !